The national agreement reached on March 18 between the Service Employees International Union (SEIU) and the California Nurses Association (CNA) sent shock waves through organized labor and the progressive community. It was only recently that CNA chief Rose Ann DeMoro described SEIU as a “management surveillance team,” and the two unions came to physical blows at a Labor Notes conference last year. CNA staffers at the Democratic National Convention even directly insulted BeyondChron for allegedly failing to write about SEIU’s “corruption.” Today, the world has changed. DeMoro describes CNA’s alliance with SEIU as “an exciting new day for nurses and patients across the nation,” and “a huge spark for the emergence of a more powerful, unified national movement.” SEIU leader Andy Stern says that while the accord is “perhaps surprising,” — now there’s an understatement! — “this is the right step to help us meet the challenge and call of the moment.” Left out of the festivities is the newly created National Union of Health Workers (NUHW), created by Sal Roselli and other former SEIU-UHW members after SEIU placed their local in trusteeship. DeMoro appears to have used NUHW’s conflict with SEIU as leverage to secure a better deal with Stern, while SEIU has removed a potential financial and political backer of Rosselli’s new enterprise, while burnishing its image as a unifier. Of all the political disputes impacting the progressive community, none has had the vitriol of the SEIU-CNA fight. The anger between the two unions went from its presidents down through the staff and membership, and there was clearly no love lost between them. But today, a union fight that even brought violence is over. And from this corner it looks like both SEIU and CNA came out victorious, with the new NUHW potentially the chief loser. SEIU’s conflict with CNA arose out a dispute over jurisdiction: SEIU felt it should organize all hospital workers, while CNA felt that nurses working in hospitals deserved their own union. This dispute became the irresistible force vs. the immovable object, with both sides fighting the other over who should represent nurses across the nation. CNA’s longstanding critique of SEIU was that the larger union was too willing to compromise with employers, too wishy-washy in backing single-payer, and that it promoted a brand of corporate unionism. Nearly all of the nurses criticisms were picked up by UHW in its own dispute with its parent, and, if anyone misses CNA’s critiques of SEIU, many are raised by NUHW on the new union’s website. This agreement fulfills CNA’s longstanding goal of becoming the dominant union for nurses in the United States. By eliminating competition from SEIU, it also saves the unions millions in organizing costs. DeMoro once stated that she would not view her career as a success without enacting single-payer health care. Pursuant to the agreement, SEIU publicly endorses measures that allow states to adopt such systems (SEIU’s opposition to single-payer in California caused a major rift in early 2008 between Stern and then-UHW chief Sal Rosselli – now SEIU is on the single-payer side). Prior to this agreement, many believed that CNA and NUHW would unite to form a CIO-style national health care union that would compete throughout the country with the AFL-style SEIU. Stern has now prevented this from occurring, protecting SEIU’s control of health-care worker organizing. The agreement also enables SEIU to potentially weaken NUHW. CNA was paying health benefits for NUHW staff, and had the financial capability to sustain that new union while it battled SEIU over decertification petitions at California hospitals and nursing homes. Now, NUHW must find a new financial backer. And even if NUHW does find a financial backer, it is hard not to conclude that the new SEIU-CNA alliance restricts NUHW’s growth outside California. 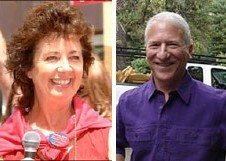 Finally, Andy Stern and SEIU have gotten some of their worst publicity in recent months over a variety of incidents. These range from corruption in their Los Angeles local, to the trusteeship of UHW and its still nasty aftermath, to the union’s controversial intervention into the internal affairs of UNITE-HERE. These events have left the Change to Win labor federation, initiated by Stern, in tatters. Prior to this agreement, SEIU was increasingly perceived as divisive, and unable to work collaboratively with other unions. Now, Stern and SEIU have earned widespread media coverage as unifiers, reaching across barriers to make peace with longtime adversaries. All for the greater good of seizing upon the historic moment to pass both the Employee Free Choice Act and universal health care. I found it significant that Steven Greenhouse of the New York Times was given an exclusive on this story even before press releases announcing the agreement were issued. Long a Stern and SEIU booster, Greenhouse’s recent articles had been unusually critical of both. But now all appears forgiven, as Stern and SEIU have pulled off an agreement with longtime rival DeMoro that few thought possible. Did CNA betray NUHW in cutting a deal with the adversary that it has described as “the new poster child for bad union behavior”? DeMoro and Rosselli are longtime rivals who made common cause in 2008 due to mutual dislike of Stern and SEIU. It is not hard to imagine CNA’s feelings as it traded off NUHW’s interests for its long-sought deal with SEIU. I’ll leave it to NUHW members to address whether they see the agreement as a betrayal, or whether past experience taught them not to put too many eggs in DeMoro’s basket. This would make a great screenplay, though the finale is yet to be written.